Premium Credit deployed Bold360 ai to customers and internal brokers and, within 3 months, experienced a 10% reduction in call and email volume, which translated into a 15% reduction in customer support overhead costs. Premium Credit wanted to improve customer service for both their brokers, who comprised 30% of their support cases, and over 2 million end-users, who made 70% of their inquiries, with a Self-Service help center. From the first moment of communication throughout the entire customer journey, Premium Credit sought an effortless experience from end-to-end. All queries, regardless of complexity, were managed through Premium Credit’s contact center via email and call. This was inefficient, costly, and not serving the growing number of clients who were reliant on smartphones and tablets to resolve support issues. 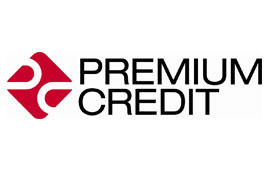 Premium Credit needed a solution that would easily integrate into their current support platform without involving new email platforms or an additional time investment in retraining agents to operate a new ticketing system. “We believe that the key to driving customer satisfaction and repeat purchases is having good self-service processes in place, which Bold360 ai is helping us achieve. It’s all about making life simpler for your customers." 24/7 Self-Service Support Center: Bold360 ai’s 24/7 context-driven support center was implemented, allowing users to instantly discover relevant content from the smart knowledge database. Dynamic FAQs displayed trending topics in real-time to speed up customer resolution and discoverability. Bold360 ai’s self-service deflected repetitive, low-touch queries from the support center leading to a 10% reduction in call and email volume to the support center. The significant decrease in call volume yielded Premium Credit at 15% reduction in customer support overhead – a major cost savings – because fewer agents are needed and can now focus on higher-value interactions rather than answering simple, repetitive inquires. The cost savings is forecasted to reach 20%. Agents at Premium Credit are delighted to now receive tickets including pertinent customer information upon first contact with Bold360 ai. There was a 20% improvement in resolution time since less correspondence is necessary to solve queries. Additionally, Bold360 ai’s self-service was extended to a brokers’ portal and knowledge base to reduce their reliance on phone and email support.